We’re open during the Golden Week holiday everyday! 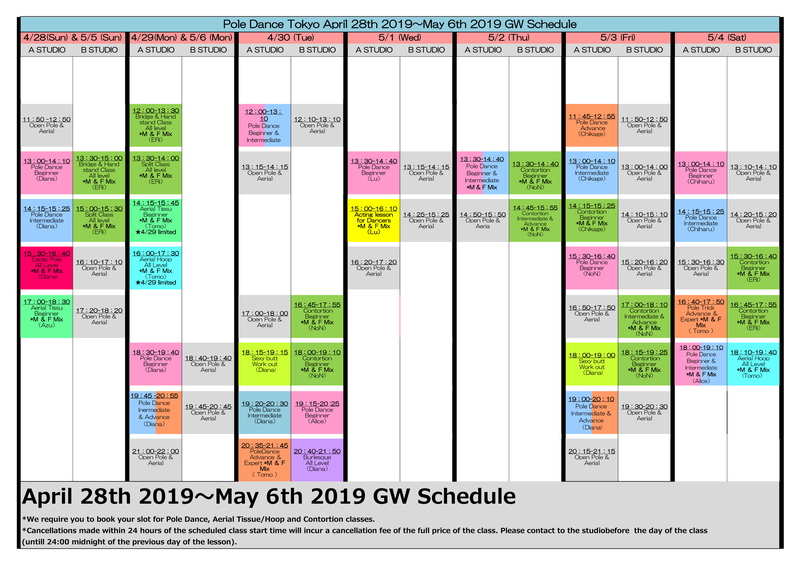 Golden Week holiday (28th April until 6th May 2019) class schedule is here. We have special classes (Handstand, back-bend, split, acting, aerial hoop/tissue classes) during this holiday, please check here for more detail. ← Valentine student show gallery is up!